or British West Indies Style home? 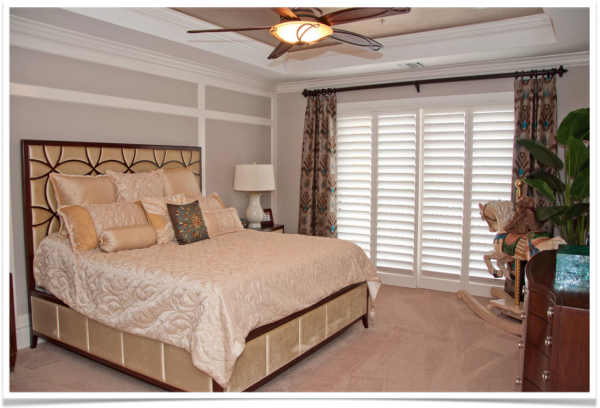 What are plantation shutters, you ask? These simple, elegant window coverings use horizontal slats of wood to block out light. These slats are connected to a vertical control mechanism which opens and closes the slats. 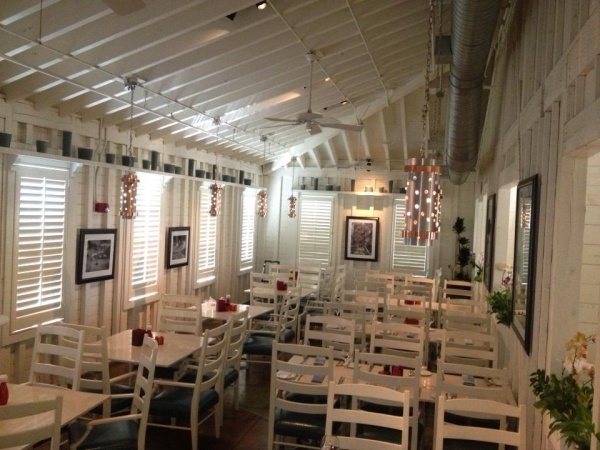 The interior plantation shutters were first used in the large homes in the American south. Understandably, their need for light and heat control was paramount – in the days before air conditioning! 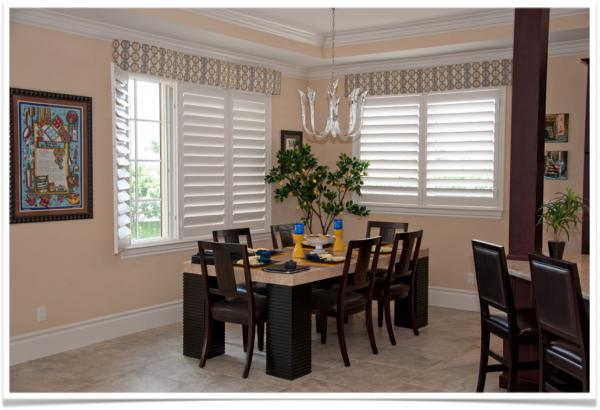 Although we’re now lucky enough to have A/C in our homes, we can still benefit from the plantation shutter’s traditional beauty and wonderful ability to block light. The name itself sounds like a contradiction in terms – Privacy AND Sheer? How’s that possible? With advancements in window treatment technology, we’re able to offer products that deliver the best of both worlds – both soft, diffused light and privacy. 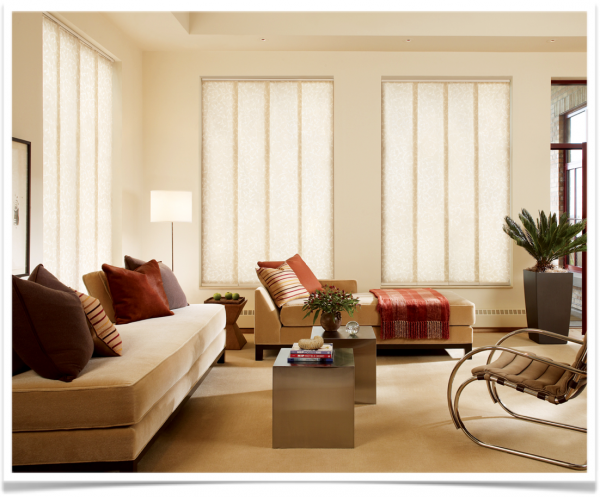 There are two window shade options in the Hunter Douglas line of products that we’ve found to be very popular with Fort Myers and Naples homeowners. When heavy fabrics seem too somber for a bright, Floridian room, our customers have asked themselves if they could live with sheers instead. All too often, the answer is no. 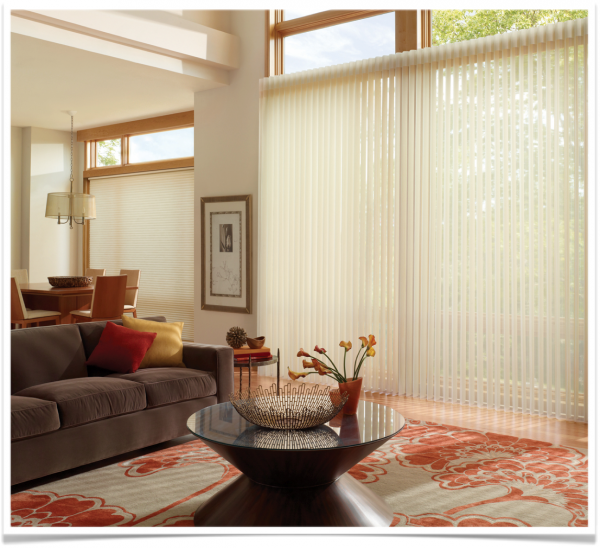 Traditional sheers don’t necessarily offer enough privacy or UV protection to be suitable for this environment. 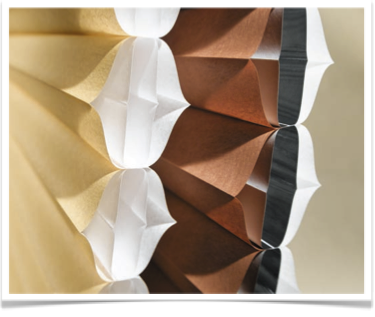 At first glance, you may not be able to see the difference between a pleated shade and one of the honeycomb variety. When viewed head-on, they both have crisp, noticeable pleats in an even pattern, and both types easily compress to allow lots of light through a window. Once again, if we look at this shade from a side angle, we’ll see how it got its name. 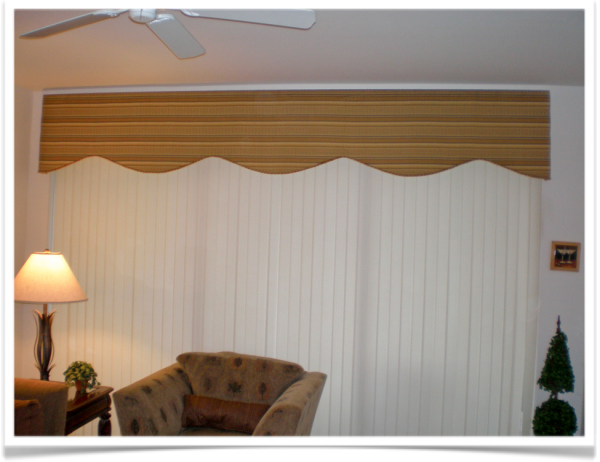 The pleated shades have a z-fold style that zig zags back and forth. This is different from the honeycomb shape. Pleated shades are slightly less expensive than the honeycomb variety. 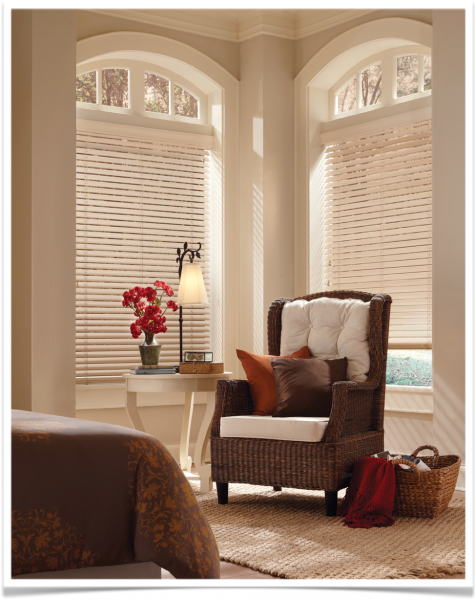 Depending on the brand and specifics, you might save about 20% on the cost by opting for pleated shades. 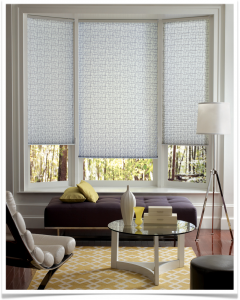 It’s easy to see how honeycomb shades got their name…. If you look at them on an angle, from the side, you will see a pattern that looks like a honeycomb. They are designed with this geometry to be easy to widen and constrict to fit the length of a window. 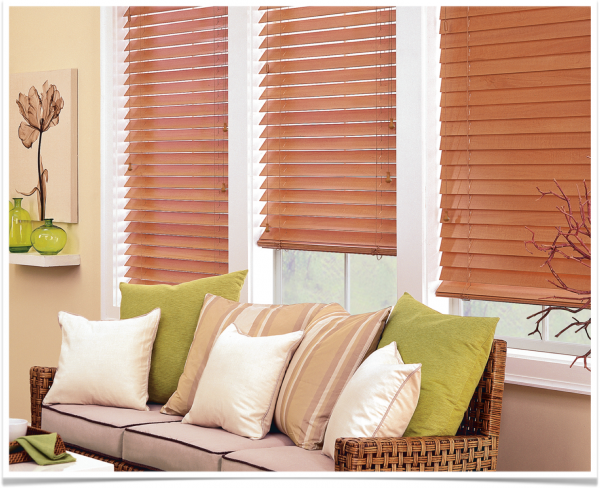 It can be confusing because honeycomb shades are also known by other names – like cellular shades or cellular blinds. In 1985, Hunter Douglas were the first to invent the highly energy-efficient Duette® honeycomb shades in response to the energy crisis of the late 1970s. 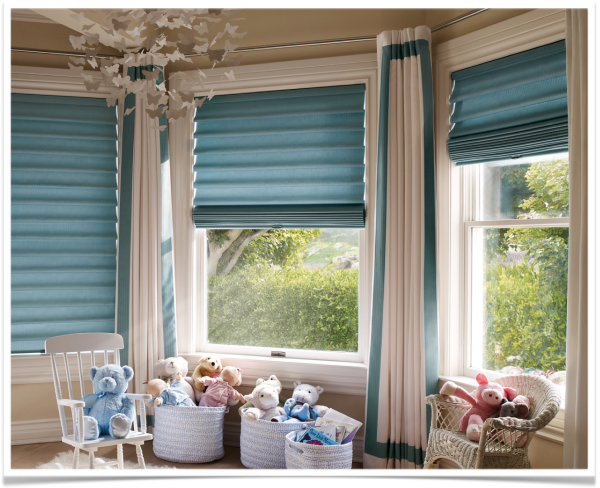 Since then, they’ve introduced Duette Architella® honeycomb shades, which offer an even greater energy efficiency thanks to their patented honeycomb-within-a-honeycomb construction, and Vignette® Tiered Architella Shades, which feature rear fabric air pockets that trap air and create an extra layer of insulation. 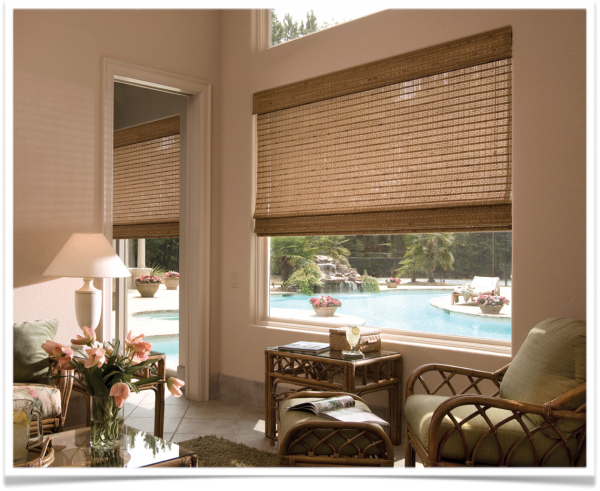 Depending on the type of fabric used, honeycomb shades can filter or block light. When they are pulled up to allow light in, these shades show off one of their best features – the ability to fold up very small to let the maximum amount of light into the room. Once the honeycomb shapes (or “cells”) collapse, they can lie very flat together. 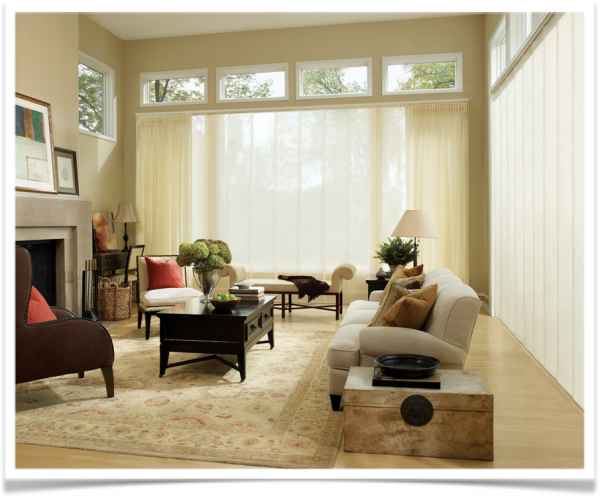 This type of window covering excels in making it easy to adjust the level of sun or shade in a room. They are created with evenly spaced panels that fold up onto each other when lifted. They can also be lowered back down with the same cord system. Roman shades can be pulled completely up, left all the way down, or, adjusted to somewhere in the middle for a moderate amount of light exposure. Roman shades are also sometimes known as roman blinds. 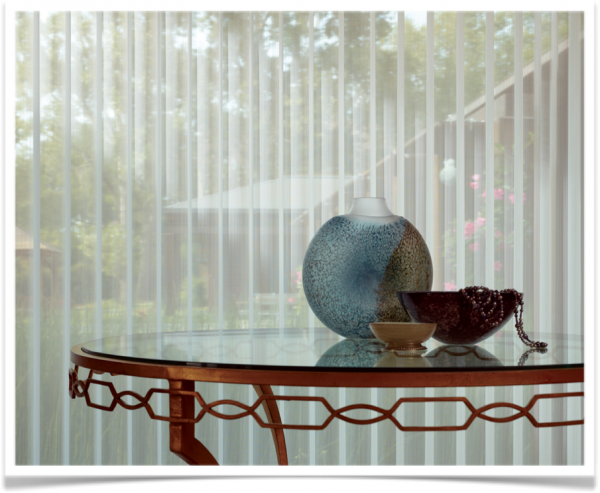 There are several variations of the roman shade, which can make it confusing to talk about them as a single group. 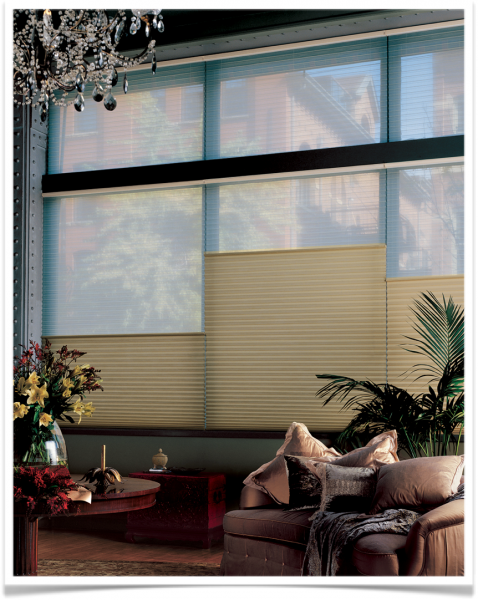 You will notice the common feature to all shades and blinds in this category is the folding panels. There is a common saying that your eyes are the window to your soul. 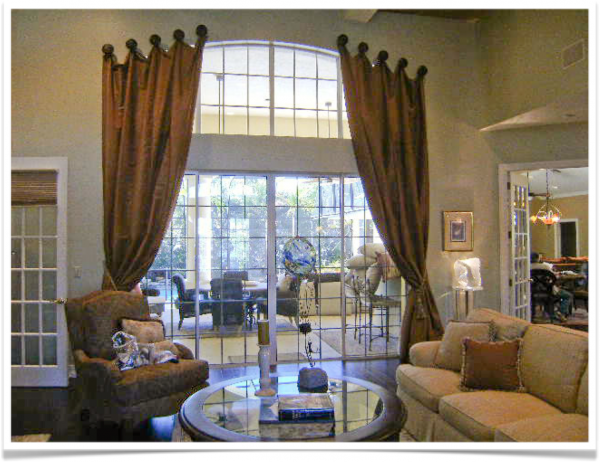 In your home, your windows and their respective window treatments are the foundation of your entire decorating scheme…. This is the 1st of “12 Ways to Create Beautiful Windows That Save You Money” which can be downloaded from our FREE eBook Library. For hundreds of years, homeowners have installed draperies and curtains for many reasons – to block light, to maintain privacy, but also to make their most intimate surroundings feel homelike and welcoming. 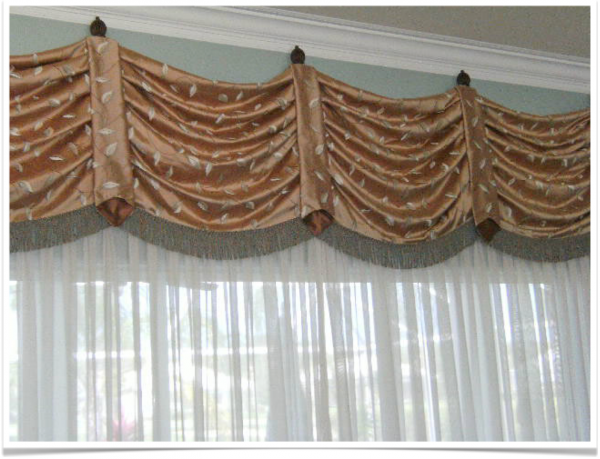 Custom window draperies and curtains are some of the most common types of window treatments that you see in homes throughout the world. Their popularity stems from their versatility and suitability for many sizes of window.